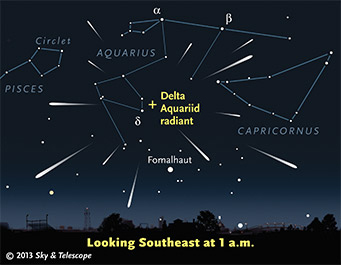 PERSEID METEOR SHOWER: Earth is entering a broad stream of debris from comet 109P/Swift-Tuttle, source of the annual Perseid meteor shower. Although the shower won’t peak until August 12-13, when Earth hits the densest part of the stream, the first Perseids are already arriving. Check http://spaceweather.com for images and updates.